Our coral reefs are vital to the health and preservation of our oceans, land and human life, as well as a critical economic force in the world economy. Unfortunately reefs around the world have begun to decline at an alarmingly rapid rate, with the World Wildlife Fund estimating around 25% of the world’s corals already lost, and 70% under serious threat. This restoration project is important not only to the ecosystem but will also help draw international attention to the island and benefit St. Maarten’s economic future. Dr. David Vaughan is the President and Founder of the Plant A Million Corals initiative and a marine scientist responsible for developing the “micro-fragmentation” technology and implementation of coral “refusion” techniques. 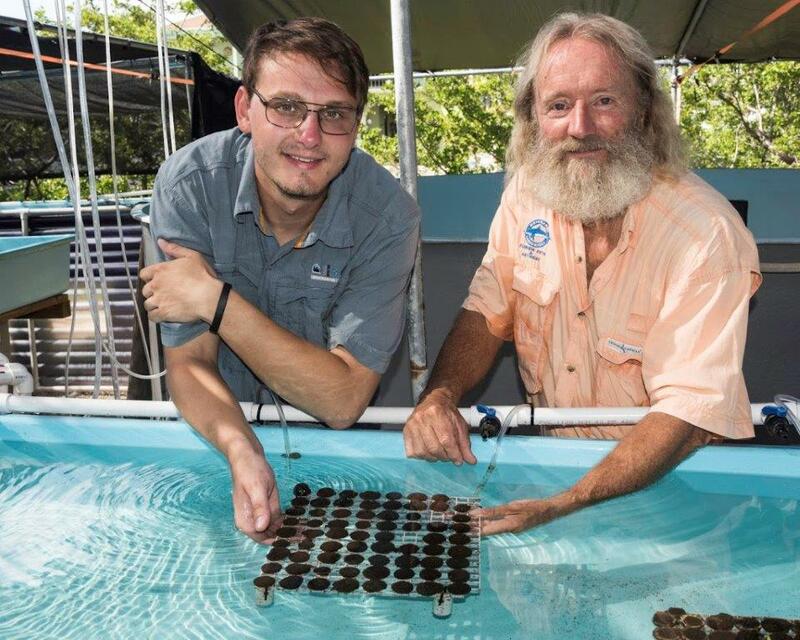 He has grown and outplanted over 40,000 corals, has 40,000 ready to go and over 100,000 in process for 2019. The depth of coral regeneration experience cannot be overstated as solutions require the finest scientific minds in collaboration with advanced materials and manufacturing. The SeaLegacy Collective is a distinguished group of world-renowned photographers and filmmakers with a combined audience of more than 6.3 million people. Together, The Collective bring decades of experience and a diverse set of skills for documenting marine ecosystems and life at the water’s edge. They are committed to lending their influence and sharing their work to amplify SeaLegacy’s mission. SeaLegacy was co-founded in 2014 by Cristina Mittermeier, a pioneer of the modern conservation photography movement, and Paul Nicklen, the renowned National Geographic polar photographer.